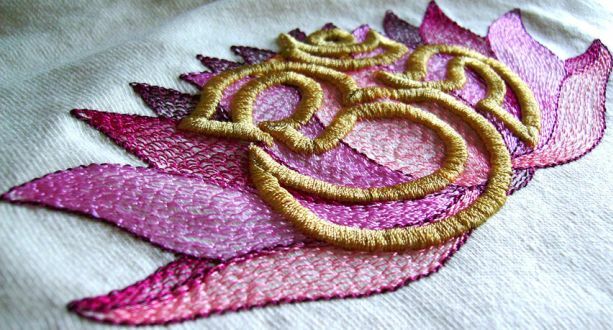 Machine Embroidery is basically the practice of using the embroidery machine to create fascinating and beautiful machine embroidery designs onto various surfaces. Therefore, DigitEMB offers a wide range of machine embroidery designs. Our designs are the digitized computer files that are accessible by the embroidery machine so that they can be sewn on the fabric later. You can also customize your machine embroidery designs 100%. However, Machine embroidery can be created by anyone! But, of course it requires great experience and practice to achieve flawless and professional results. Our creative designers will surely inspire you with their creative ideas and designs. DigitEMB is your first stop to fulfill all your high quality machine embroidery design needs. We offer flawless, unique and beautiful styles, also along with the customer centered services from our friendly, kind and knowledgeable staff. The machine embroidery designs offered by us features just about any kind of design that you can think of! Our designs are unique and beautiful to be used in home decor, rugs, garments, caps, hats, towels, napkins, monograms anything that you can think of! The list is endless. We also have stock for immediate download. No matter what, if you are a professional or a beginner you can find all the machine embroidery designs to fulfill your needs here. We also provide our honorable clients with free machine embroidery designs. We serve our valued clients with the quality services to keep them happy and satisfied. As we believe that our customer’s satisfaction is our success! And we do our very best to achieve that. We are 24/7 available to assist you in every way. You’ll be delighted with the fine detail and stitch quality of the machine embroidery designs provided by our professional and creative artists. Your satisfaction is guaranteed. Every design tells a story, get yours now!